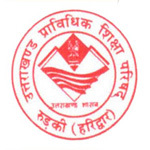 Uttarakhand Polytechnic 2019 Admit Card has been published through online mode on 15th April 2019. Uttarakhand Polytechnic entrance exam is administered by the Uttarakhand Board of Technical Education Roorkee (UBTER). This exam is also known by the name of JEEP (Joint Engineering Entrance Polytechnic) which is conducted in state level. Through this exam candidates can get admission in polytechnic institutions of the Uttarakhand state. Candidates can get admission in various engineering and non-engineering diploma courses. Here, candidates can check the information related to the Uttarakhand Polytechnic JEEP 2019 admit card. Uttarakhand Polytechnic (JEEP) 2019 Admit Card has been released on 15th April 2019. Click here for admit card. To check the admit card candidates needs to enter their application number or candidate name and date of birth. Uttarakhand Polytechnic Admit Card 2019 is available through online mode on 15th April 2019. In admit card the candidate’s name, roll number, category, sub-category, DOB, date of exam, exam timing and exam venue will mention. Candidates are advised to check the details printed on the admit card. In case of any mistake contact the concern authority and make it correct before few days of exam. If any candidate will not get the JEEP 2019 admit card, they can get it by sending their details to the officials. Uttarakhand Polytechnic JEEP Admit Card 2019 is made available on 15th April 2019. Candidates can get it through online mode from the website. The written examination will be held on 28th & 29th April 2019. Within few weeks the result will be declared by the authority on 20th May 2019. When candidate will report for the counselling, the authority will be asked for the admit card. So, keep the admit card safe till the announcement of the result and other processes. Once the exam center will be allotted it cannot be changed in any circumstances. Do not forget to carry one photo ID proof along with admit card on the day of the exam. You will be redirected to the admit card page. Enter your application no. or candidate name and Date of birth. Read the details mentioned on it and download it in pdf format. Take 2-3 printouts of it and keep it safe till declaration of result. The admit card will contain the exam date, exam time, exam venue, reporting time, etc. It will also contain the instructions for the candidates to follow at the day of exam. In admit card the exam related information will also be written like how much is the duration exam, subjects of exam, subject code, etc. Candidates should also required to read complete instructions given on the admit card. If you have any query related to the Uttarakhand Polytechnic JEEP 2019 Admit Card, you can ask us by writing your queries in the given below comment box. Sir,I lost my admit card and admit card is very important for admission so how can I get admit card . Its very urgent plz help me…..
Losd admit card Sr Help me..
sir mene gslti se domicile yes kar diya kya ab conselling me badal sakte he ya kya kare pls tell me.. It will be known to you later at the time of counselling only. You can download the JEEP admit card from this link. How to download my admit card ? How to download my admit card?